Get your adrenaline pumping with Genting Dream’s outdoor ropes course. 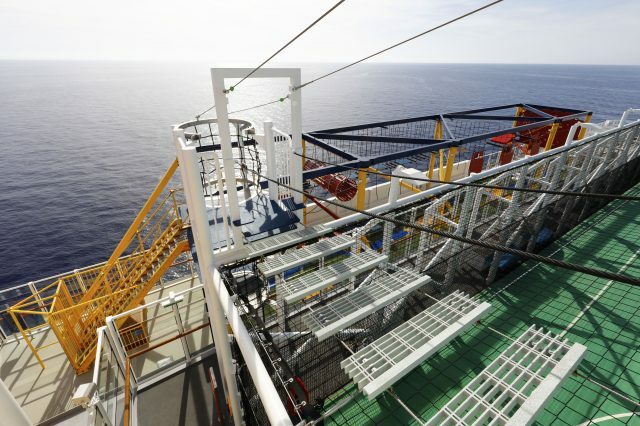 Thrill-seekers can try the 35-metre zip line that glides over the side of the ship 18 decks above the sea. 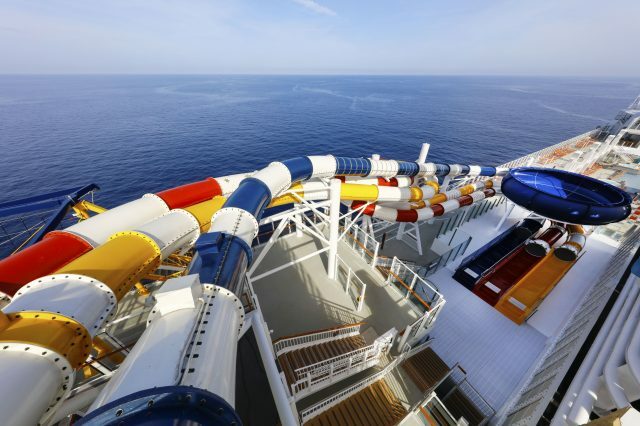 The ship features a waterslide park with six slides. 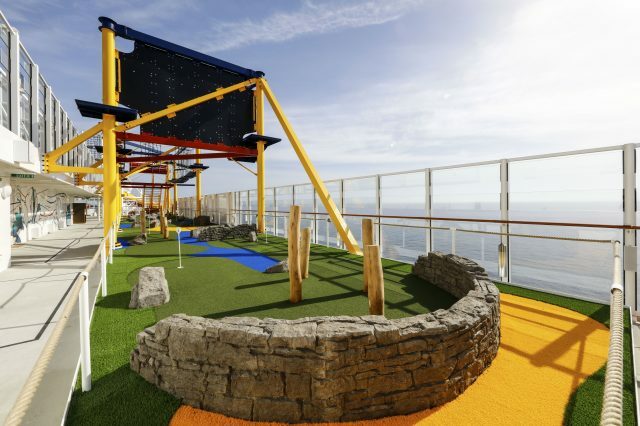 There are gentler slides for the family and faster ones for those looking for an adrenaline rush. 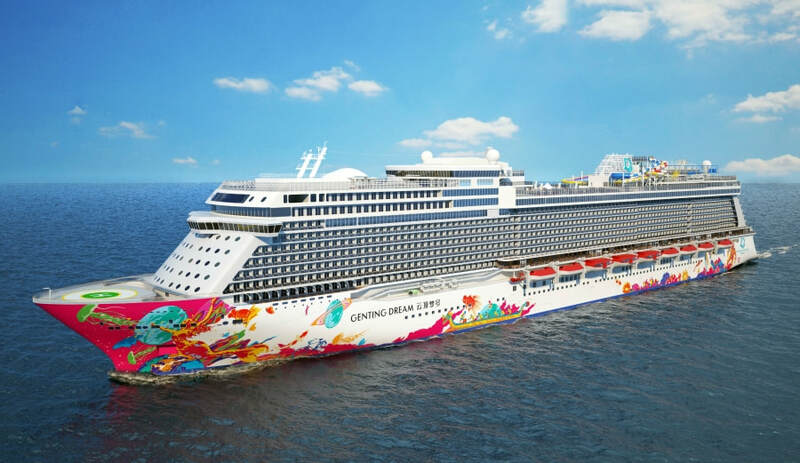 Genting Dream’s mini golf course offers a fun experience suitable for all ages. The nine-hole outdoor putting course is easy enough for your little ones, and you can enjoy the scenic view as you play. 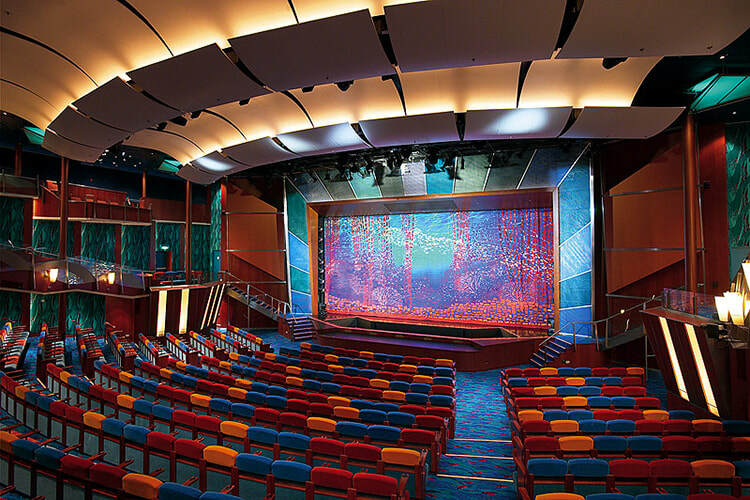 Enjoy live production shows from the acclaimed award-winning entertainment team. Have fun getting active and burning some energy at the Sportsplex. 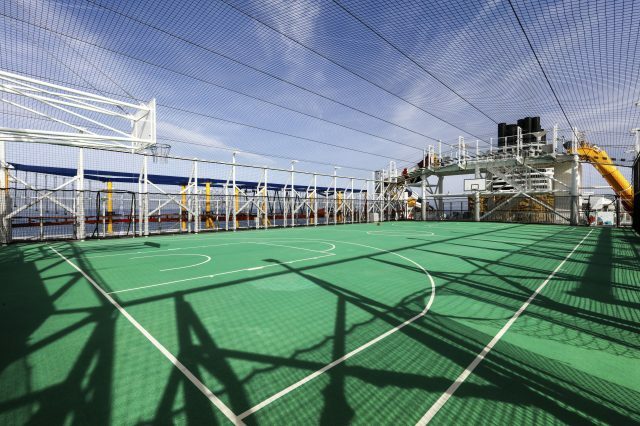 It features a state-of-the-art standard size basketball court, which also works as a multi-functional space and venue for outdoor activities. To take the Zouk experience to the seas through Zouk’s key pillars of music programming, live artists and DJ performances, signature cocktail drinks, unique activities and exciting programming.